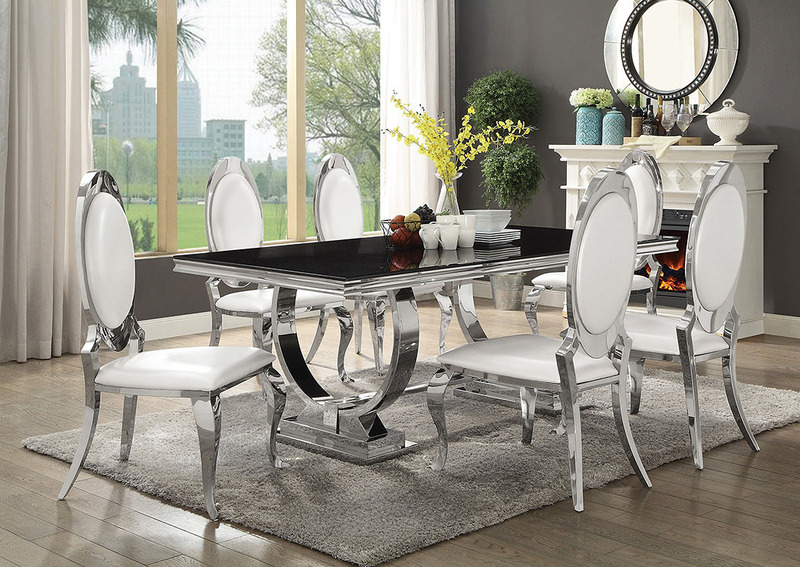 Bring glamour to your dinner parties with this bold dining table from the Antoine Collection. Silver-finished hoops make up the base for incredible sculptural appeal, making a dramatic impression that guests are sure to remember. The top is crafted from durable tempered glass for durability and easy upkeep. Regal ambiance in a transitional package. Enjoy a hint of fresh modern style in this dining chair. A traditional silhouette features a lovely oval seat back and ornate curved legs. 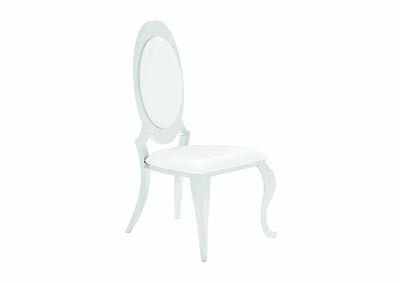 Creamy white upholstery delivers a bright effect that contrasts with a chrome finish frame. Lift the personality of any space with this exceptional dining chair.